Pleasure reading in college can be a real challenge! I needed to carve out some designated me time, and after first semester, I knew it needed to be focused around Jesus. Before, quiet time just meant that I was reading a chapter or two in the Bible, maybe sorta kinda getting something out of it, and then saying a quick prayer before I went to sleep. One of the christian ministries I am apart of had a series on spiritual disciplines and it really helped me shape what my “quiet time” with the Lord currently looks like. Soooooooo, I started reading the book The Circle Maker. The basis of the book is about Honi, a man in history who drew a circle in the dirt, stood inside of it, and prayed to God to make it rain during a horrible drought. Not only did God send rain, but he sent it exactly how Honi asked for it. The entire book uses this miracle as a way to illustrate how prayer circles are created and how prayer can be the most powerful tool we have as Christians. Sometimes I think we forget how powerful prayer is. It is more than a few memorized lines said before dinner, it is direct communication to God! Just think about that. Referencing one of my past blog post, if you think of your relationship with God like you would with a significant other is helps create a picture of what your daily relationship should look like. You wouldn’t go multiple days without talking to your wife/husband, you wouldn’t only ask favors, you wouldn’t reach out in only the tough times. Right? Right, because that would be a very unhealthy marriage. In our relationship with God, prayer is a way to grow close to Him, while simultaneously receiving unconditional love that is unlike anything you have ever experienced. The book is separated into small stories within multiple chapters. I read a few “stories” along with some typical scripture reading. Incorporating this book into my quiet time gave me tangible things to pray about and also expanded the amount of time I was spending in the presence of the Lord. I recommend this book to anyone who is looking to improve their prayer life, light a match in their walk with the Lord, or simply just need a new book to begin! The second book in the picture is what I am reading next, I’ll be sure to share how I like it! 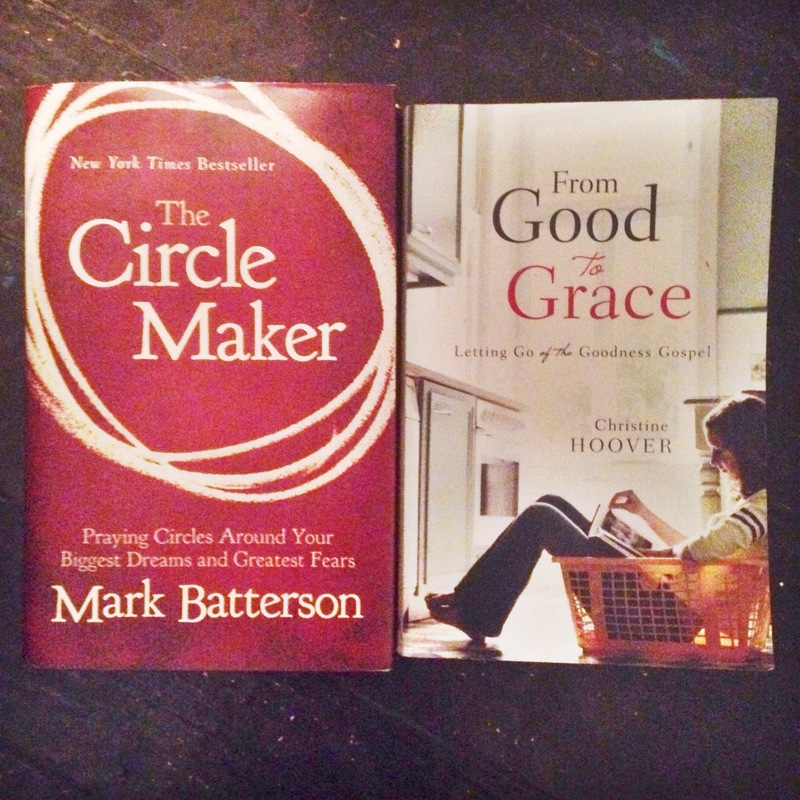 The circle maker changed my family lives. Check out my story and I hope it encourages your heart! His other books are very good too!